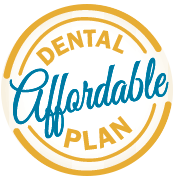 Our staff understands that sometimes dental care can be stressful. Enjoy these relaxing amenities provided by your favorite Alabama dentist office. Hot Paraffin Hand Wax - Rejuvenate tired, sore, dry hands with our warm soothing paraffin wax. This pure hypoallergenic wax helps to soften and smooth dry hands, while soothing aching muscles. The paraffin wax bath ultimate experience helps to relax and relieve your tension. Paraffin heat therapy seals in the heat and contours to your hands for the ultimate moist heat treatment. Hot or Cold Eye Mask - Cooling relief for over tired, strained eyes to relieve puffiness and swelling. Warm relief to sooth cold-exposed skin and provide temporary relief from sinus congestion. The unique herba-gel formulation retains temperature longer than water-based fillers, harmonizing with the body's natural flow to soothe, relax, and invigorate. Warm Aromatherapy Neck Wrap - Filled with a special blend of natural ingredients, the Comfy Neck Wrap is lightweight and flexible. When heated in the microwave, the neck wrap slowly releases warmth, which aids in soothing and relaxing your tense head and neck areas. CD/Radio with Headphones - Our wide selection of music helps you sit back, relax, and imagine you are somewhere else. 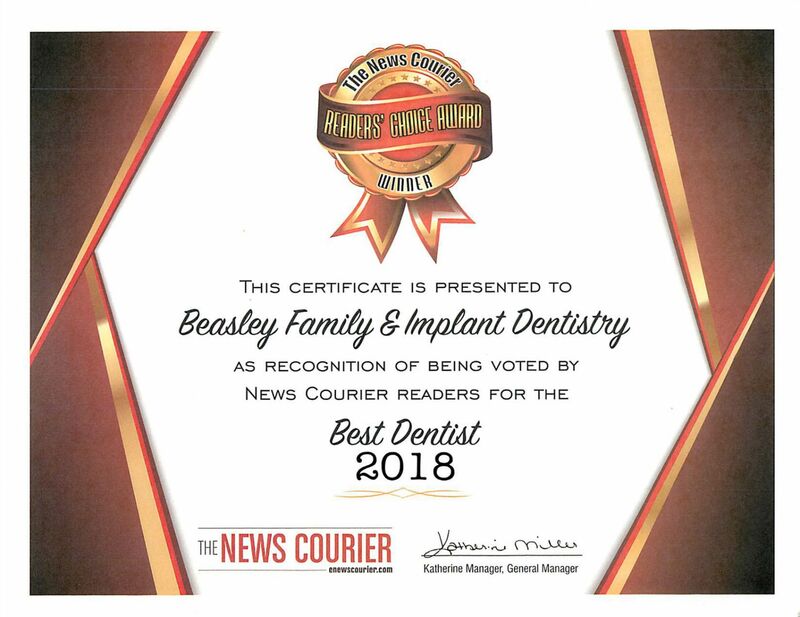 CAESY Patient Education - This website provides detailed dental information so our patients are comfortable with the terminology and well-informed about the procedures we offer. Oral Sedation Dentistry - Does contemplating dental care make you feel... trapped? 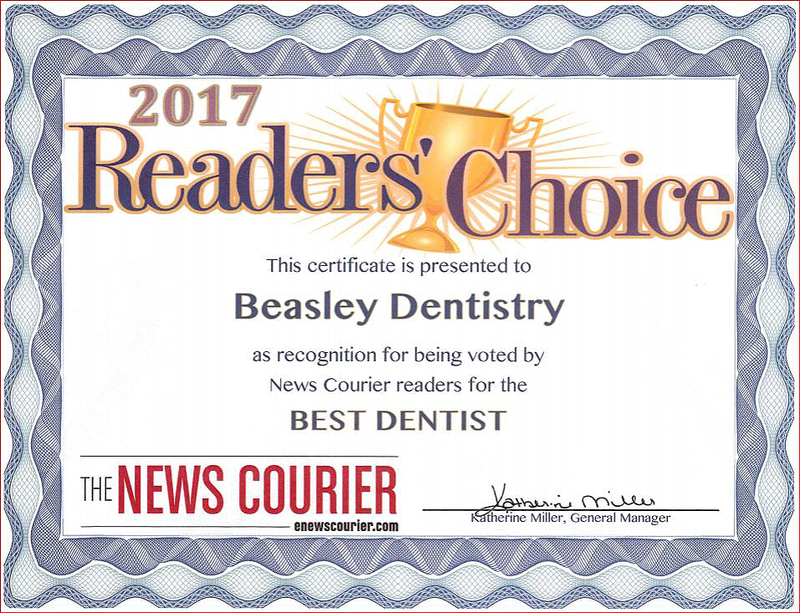 Dr. Beasley and his team specialize in sedation dentistry. 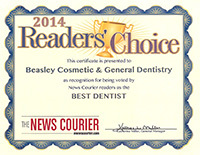 Follow this link to learn more about sedation dentistry. Nitrous Oxide Gas - One of the most elegant solutions to dental anxiety, nitrous oxide gas helps you relax during procedures, yet leaves you able to drive yourself home after your appointment. Follow this link to learn more about how our office uses nitrous oxide gas.